It’s no secret that incidents regarding school safety and security have been steadily on the rise, especially intrusion to school premises. All educational facilities, including tertiary institutions, boarding schools, high schools, and elementary schools are now taking additional responsibility to upgrade their security measures. In addition to outside resources playing a key role in school security (e.g., police, fire departments, etc. ), as well as appropriate training and school management, your structured approach should take into account the intruder’s viewpoint and the various ways they might attempt to gain access to your premises. During the 2015–16 school year, 79 percent of public schools in the US recorded that one or more incidents of violence, theft, or other crimes had taken place, amounting to 1.4 million crimes. This translates to a rate of 28 crimes per 1,000 students enrolled in 2015–16. Could these acts have been mitigated? Incidents like this are the reason more schools, universities and other educational institutions are adding security measures to further secure their facilities. So, how can a visitor management system help better secure your school and educational facility? 1. It provides information and details of who is inside your school’s premises. Ensuring everyone has been properly signed-in before entering your premise is just one of the many benefits of a visitor management system. It also conveniently allows you to track who is inside your tertiary institutions, boarding schools, high schools, and elementary schools at a specific time. Giving you an electronic “paper trail” of the visitors entering your institution. Consider this scenario. An emergency situation suddenly takes place on your campus and you need to evacuate everyone in your institution. How will you know if every person has been accounted for? You can probably check your students and staff based on their attendance sheet. But what about your guests, contractors or other visitors who have entered the school? How do you know if they have safely evacuated too? A visitor management system helps you identify who is inside your premise during emergencies through the ability to access real-time visitor activity & reporting. This helps in improving the health and safety practices of your institution. 2. It helps you identify the staff and students from the guests. It can be very challenging to identify the staff and students from the guests, especially for big educational institutions. Sure, the teachers, staff and students can wear their ID credentials, but how do you identify the other types of guests your institution plays host to? One of the advantages of a visitor management system is the ease in printing custom visitor ID badges. Which clearly displays the date and time of their arrival, along with the type of visitor they are. This is prompted after the guest logs in all the required information into the iPad sign-in app. By issuing visitor badges, your staff and security personnel can more effectively identify people who are not supposed to be in specific areas of your building, especially areas that house sensitive documents. 3. It acts as a visual deterrent. CCTV surveillance cameras on school premises are now in demand more than ever. This is because they act as a deterrent to vandals and intruders. This is similar to having a visitor management system for schools. It can form part of your institution's first line of defense. Traditional sign-in books can easily be disregarded, especially if no one is stationed at the school front desk area. A digital visitor management system for schools can help eliminate this breach of security. Everyone must log-in their details before entering. Even their photo can be is captured by the system to easily identify who is entering your school - giving an added layer of security. More importantly, if the school or property has a gated entrance, a policy can be implemented where visitors are only allowed to enter the premise with a printed visitor ID badge. Having a visitor management system as part of your overall security equation, means visitors are required to go through a more secure identification process. By projecting a more secure appearance, a visitor management system can help discourage many unwanted guests from even attempting to enter your facility. Isn’t that a relief to any educational facility worried if their front reception desk is properly monitored and secure? Now you can feel more at ease knowing that every visitor entering your premise will be properly accounted for. Why Choose SwipedOn as a Visitor Management System for Your Educational Facility? At some point in the lifespan of your visitor management system, you’ll most likely need to reach out for support. Whether it’s with questions on how to set up your system or a year from now you’re wanting to upgrade your subscription. The SwipedOn team ensures you always have your back covered. We are readily available at no additional cost. Just send us a message. Unlike other visitor management software, SwipedOn is very easy to set up and use. 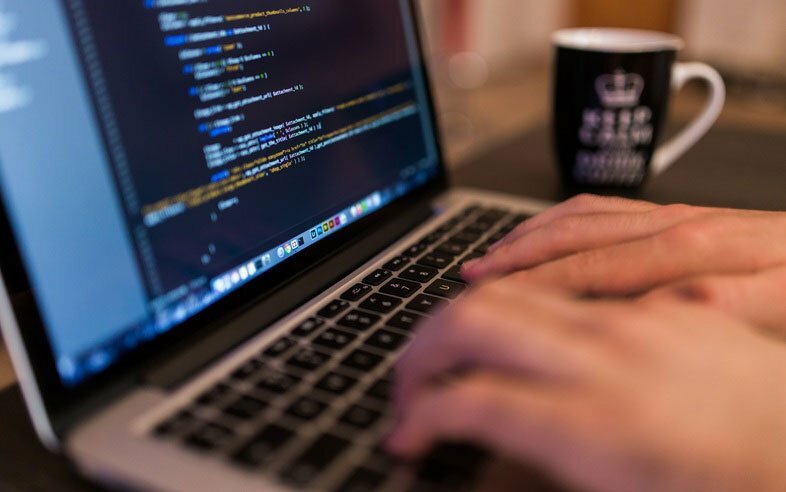 You don’t need to be a coder, an IT guru, or even adept with high skilled computer skills. We make it very convenient for you via our easy to follow help guides and dedicated support team. With data privacy being the talk of the town not only in Europe, Australia, U.S. and across the globe, more and more organisations, including educational institutions are also getting wary of how they store visitor information. 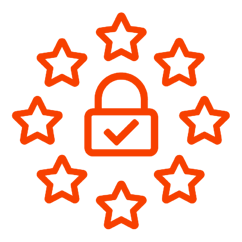 Interested to learn how SwipedOn can aid your institutions data privacy? Read on here. If you’re still questioning whether investing in a visitor management system for your school is worth it. Don’t hesitate. It is a must, especially if you value the safety and security of everyone, not only the students, inside your institution. Start your free 14-day trial, today. Amy is our Marketing Assistant at SwipedOn.